Our Max-Air Oil-less Compressors incorporate the best design features in the dental compressor industry today. The basic pump design ensures enhanced capabilities and no maintenance. 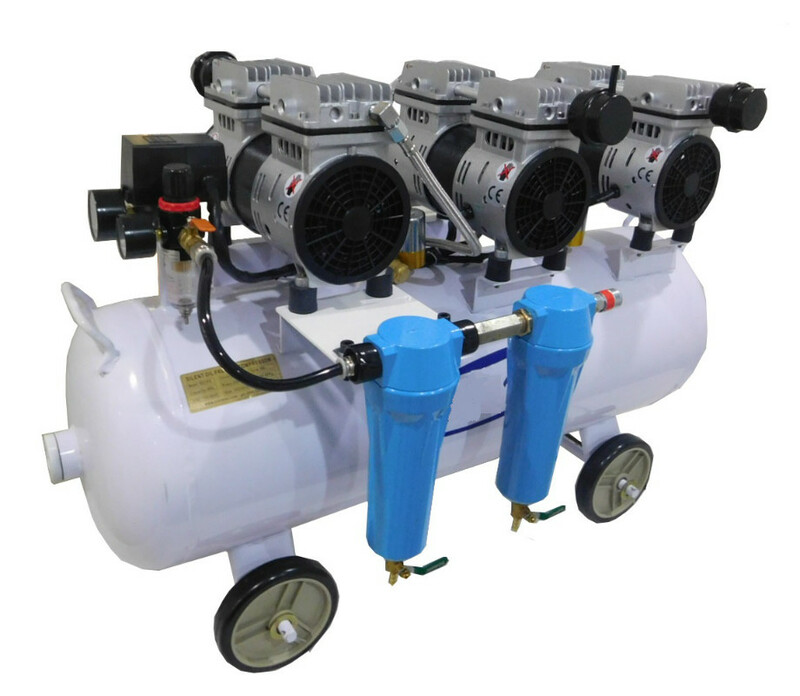 Less noise than other oil-less Air compressors because of the basic compressor design. Our high quality Dental Air compressors are designed for extreme durability. All tanks are powder coated inside and out for durability. The oil-less compressors are properly engineered to ensure consistent air supply & quiet, smooth operation.